Welcome to Sylvanian Sweeties! 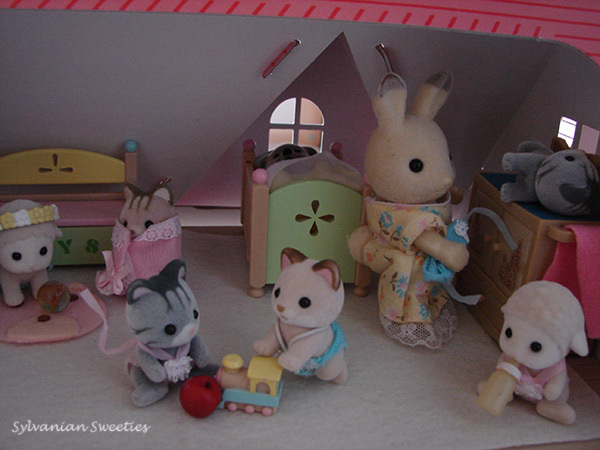 My special place on the web to share my love for Sylvanian Families! I had a blog on Blogger and also a self-hosted website, but I was finding it hard to update. I also wanted to be able to have a more responsive page and something that was beautiful. It will take some time for me to add my collection photos and special posts. Please come to visit often while this site grows. Below is a photo of Sibyl Hoppinsett (one of my favorite characters), taking care of some adorable babies in a nursery.